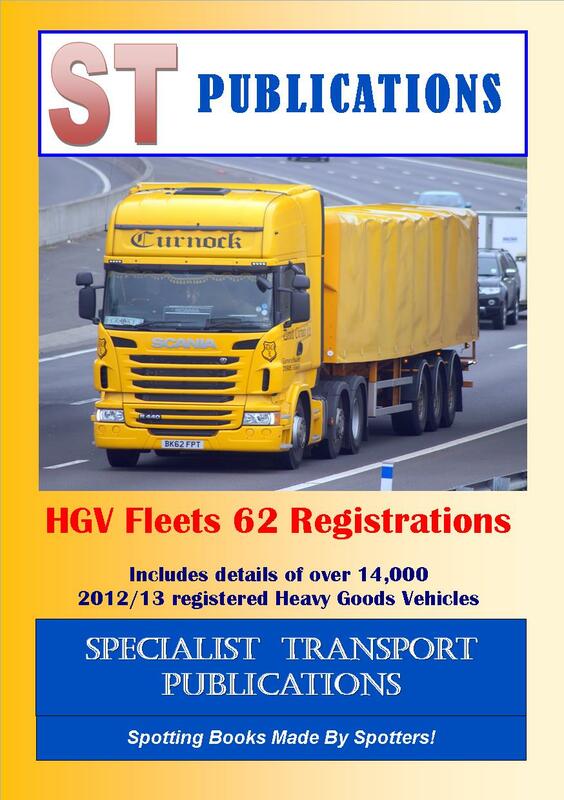 This is a further volume in our new series of books listing the registrations of the UK`s HGV fleet. 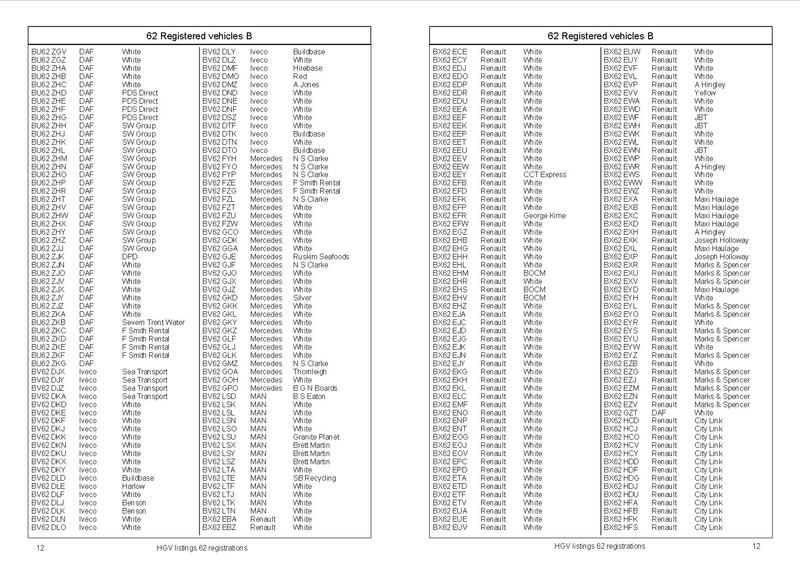 This volume covers the 62 series registrations,and as with the previous volumes, vehicles are listed in registration number order. Also shown is the vehicle manufacturer and the current owner (if known), or if not, the present livery. Fire engines and Council vehicles are also included. Other than subsequent scrappings, these books will require little updating by the user and can therefore be used for years to come! Over 14,000 62 year registrations are listed in this volume.